Almost a year to the day after the release of the rather impressive Radio Scarecrow, and twenty years on from Downie’s first ever release, The Black Dog is back, tail wagging, with another slice of dense and moody electronica, fuelled with classic Detroit flavours and self-styled Northern electronic soul attitude. While Radio Scarecrow represented quite a departure from its predecessor, Further Vexations appears in many ways as a more in-depth exploration of a particular groove, as if the stones turned on Radio Scarecrow had, with times, brought to the surface much more subterranean life than originally found. On this latest offering, Ken Downie and brothers Richard and Martin Dust have laid out some pretty stark and dense soundscapes and continuously play with light and shade to give their sound its distinctive relief. After a somewhat rather serene opening piece, The Black Dog up the antes and get cracking, first with the deep pulsating 0093, then with the equally dark and ominous You’re Only SQL and We Are Haunted, the latter built around a rather more minimal combination of beat and bass than any other track on here, placing it at the intersection of Detroit and Berlin. Later on, CCTV Nation appears to reference Downie’s early nineties playground, albeit with added drive, before the album enters a more peaceful second phase, where powerful warm sonic waves come crashing, one after the other, over subtle melodies to create a contrasted moody set. Starting with the blissful Stempel and moving on through the Northern Electronic Soul triptych before diving down into some beautiful atmospheric pieces, the trio still rely on strong beat and deep resonating bass formations, but the pace becomes progressively slower and broken as the end nears. The last three tracks in particular pushing deep into The Black Dog’s exquisite dreamy world. Here, the soundscapes become much more open and light floods in once again, hitting various angles to create rich colourful strips which become increasingly vivid to finally take their full effect on closing piece Kissing Someone Else’s D.O.G. 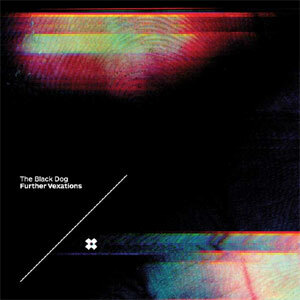 There is, like in many of The Black Dog’s releases, another dimension to Further Vexations, which is revealed through some of the track titles. Biomantric L-if-e and You’re Only SQL hint at the powerful information databases being used by governments in the name of security, while CCTV Nation spells out unequivocally how Britain especially has become a nation under constant surveillance. To complete the picture, the cover shows part of a fingerprint on a backdrop of video surveillance images and electronic voices can be heard listing, amongst other tings, ID cards, biometric measures and computer world at the end of Northern Electronic Soul Pt. 2. With this latest offering, The Black Dog continue to dispense their beautifully polished blend of electronica. Faithful to the original scope of the band, yet resolutely modern and fresh, the Sheffield-based trio show no sign of mellowing.